Some social dreams are never out of style. 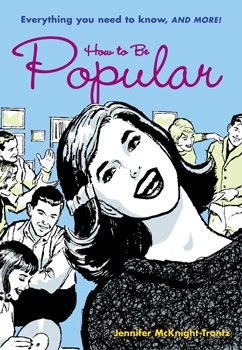 Take this tome of real tips for teen popularity, all pulled from the 1960s & 1970s. As much as times change, some gals will always want to be in the IN-crowd. Chock full of retro-tastic artwork & photos, 'How to Be Popular' may not win you friends & influence people, but it will have you laughing at many of the suggestions found inside. A sense of humour is always better than a bunch of sycophants following you around, right?